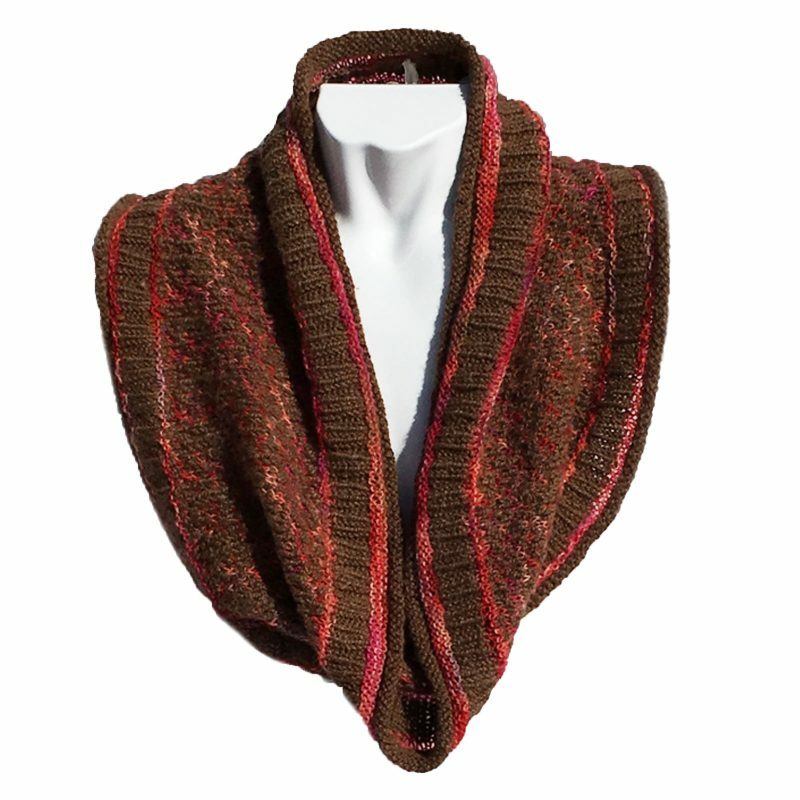 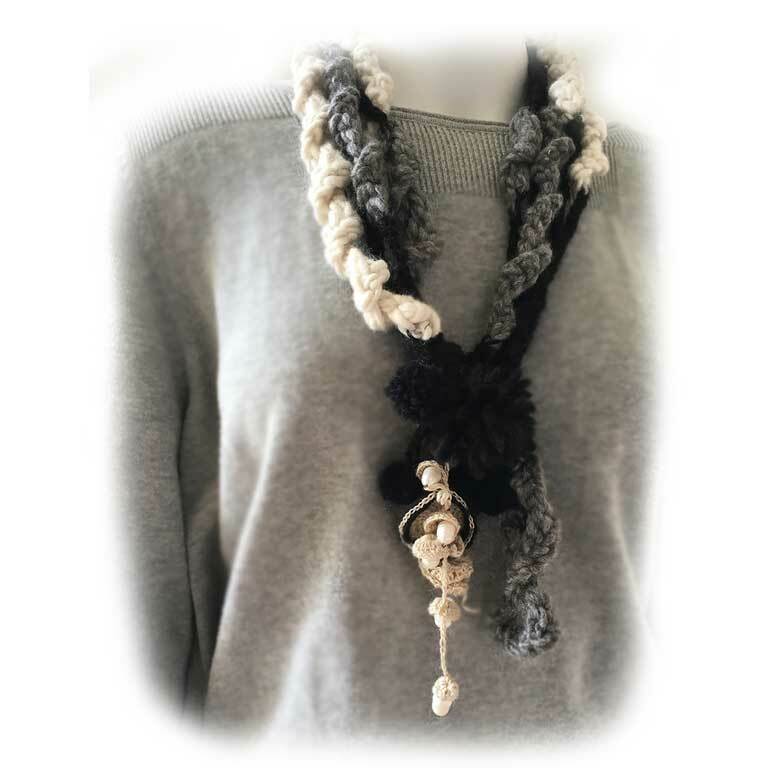 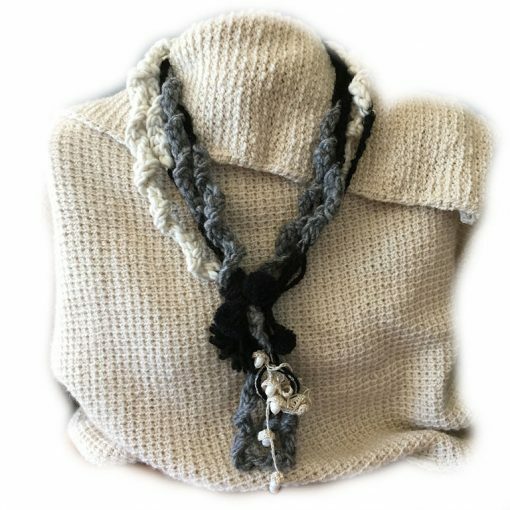 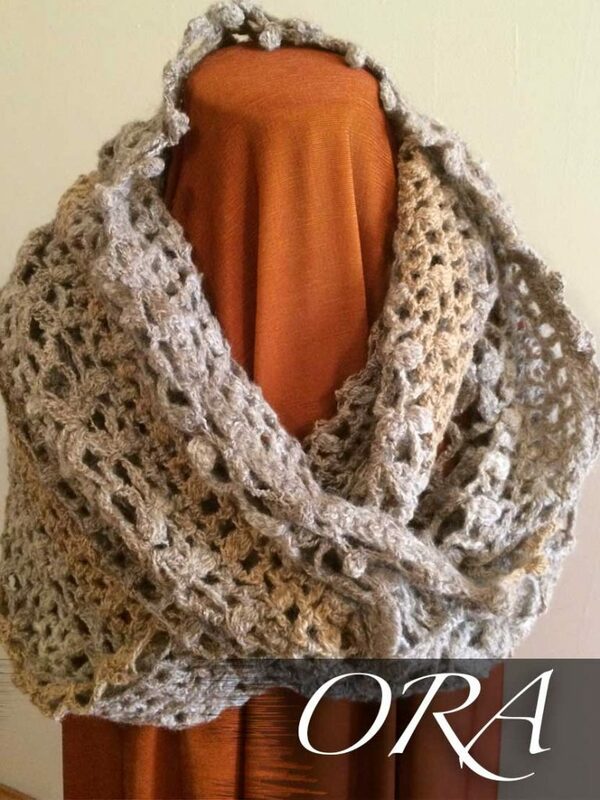 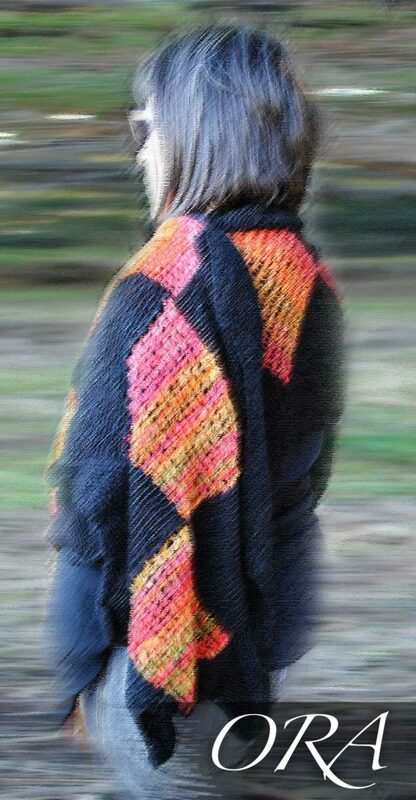 The intrinsic warmth of crochet alpaca gives this genuine large Freshwater Pearl Necklace the dual purpose of jewellery and scarf. 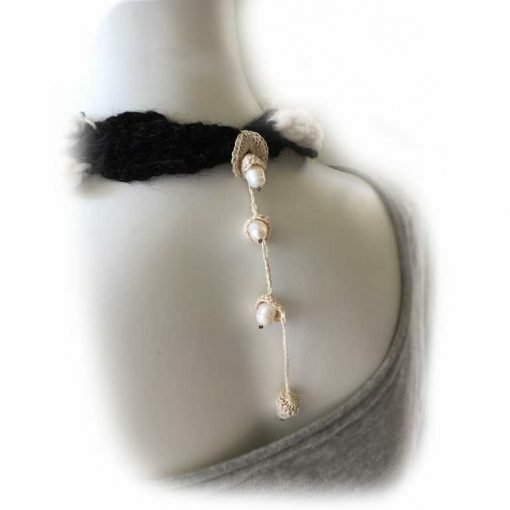 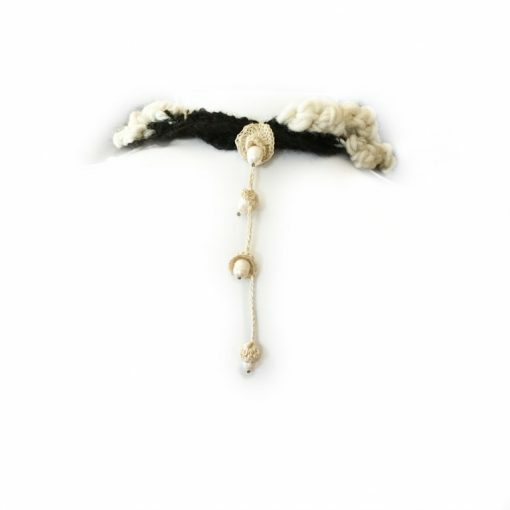 The genuine freshwater pearls in the necklace are set in crochet pods of vintage Irish ecru linen thread adding a touch of luxury and chic to this boho style necklace. 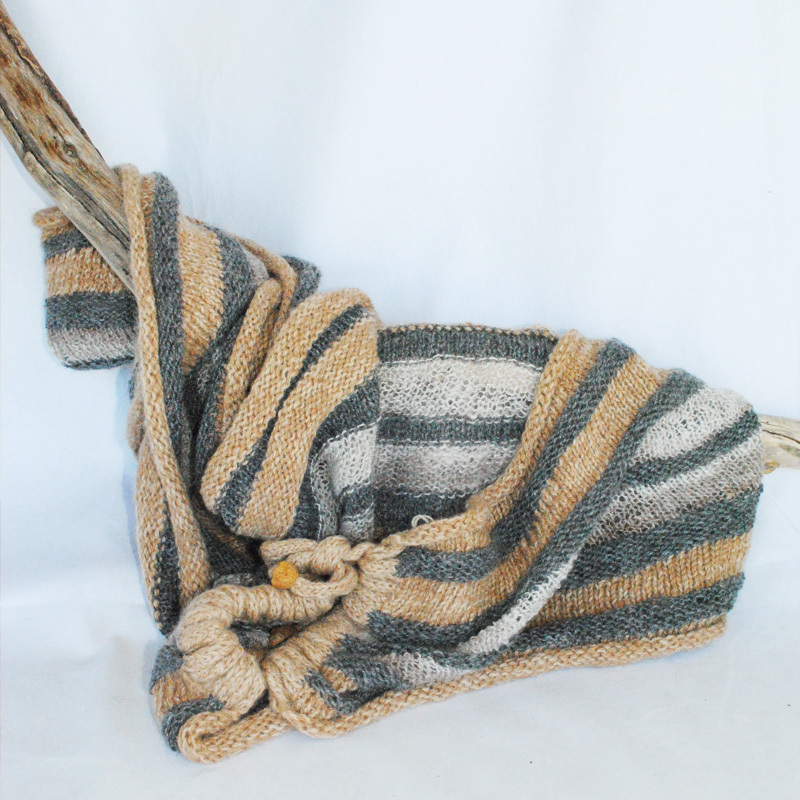 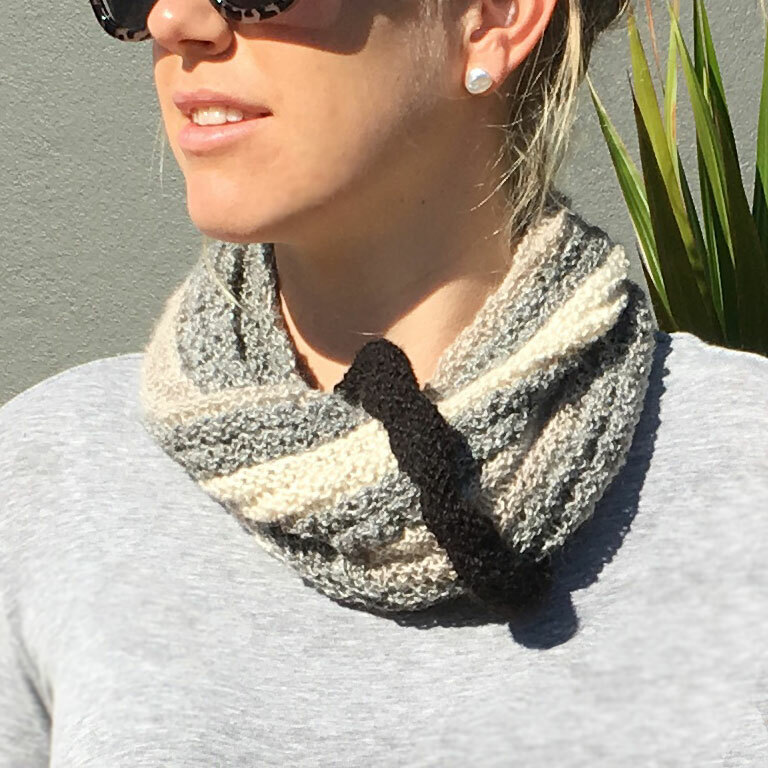 Winter white, soft grey and classic black ORA Signature Yarns have been hand spun in natural alpaca, teamed with vintage Irish linen and genuine freshwater pearls making a stunning, warm piece of jewellery that can be worn during the day on a casual sweater.